NOTE (10/18) Pratesi is under new ownership and has closed its US retail locations and its factory in Italy is backlogged. We are not currently accepting any Pratesi orders. By 1896, Remigio sold his linens from the magical Tuscan countryside directly to the royal families of that time, and the company was officially born in 1906. 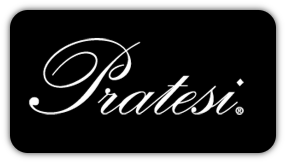 Today, the company is run by the fourth generation of the Pratesi family, who continues to work tirelessly to achieve the perfect balance between creativity, quality and technology. For decades now, the brand has enjoyed status worldwide as a status symbol itself, covering the beds of the world’s rich and famous. Quality begins with Pratesi’s choice of raw materials. Cotton is purchased from a remote area in southern Egypt. Because Pratesi holds the oldest contracts in the region, they are able to be ultra-selective; only the first spinning is purchased. The result is a very, very long thread, which is eventually woven into linens that are angelically soft and luxurious.